Your Bot Builder Sidebar Shows You all the Tools You Can Use in MobileMonkey! The left sidebar gives you access to tools to build, use and monitor your bot. The left sidebar can be found once you access your bot from your dashboard after logging in! This is how you create a working bot! There are three tabs under Bot Builder. Use your bot to send mass messages to your contacts. The open rate is astronomically larger than Email blasts! There are four tabs under Marketing Automation. 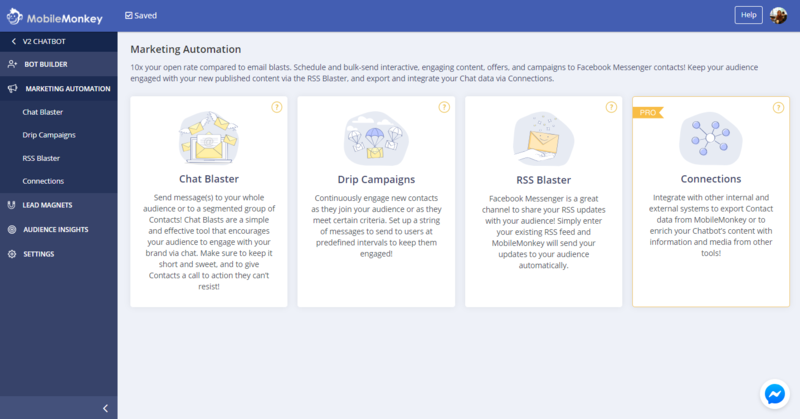 Chat Blaster: Send a mass chat message (informational or promotional) to an audience of your choice. The possibilities are endless! This is how you generate engagement with your bot. There are three tabs under Lead Magnets. 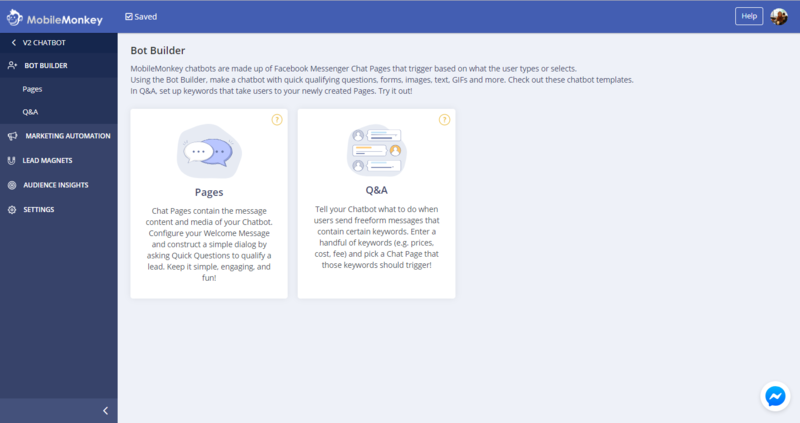 Landing Pages: Landing pages are a place to host your send to messenger button and offer a buffer between your link and your bot. Scan Codes: Scan codes can be read by smart phones cameras and other devices to link contacts directly to your bot in messenger. HTML Elements: HTML elements generate links to your bot through buttons, website chat widgets, and more. Sort your contacts into relevant audiences, to properly target your messages! There are four tabs under Audience Insights. Forms: Keep track of the forms you created and the statistics of each.